The Sony PMW-F3 is one of the latest members of Sony’s CineAlta lineup. The PMW-F3 is equipped with the newly developed Exmor Super 35 CMOS image sensor, PL lens mount, and SxS card for 1920 x 1080 full-HD recording. The PMW-F3 features include RGB 4:4:4 baseband output with S-LOG gamma for external recording which means it can be used in an HDCAM-SR workflow. It also offers a 3D-LINK option, which allows two camcorders to be controlled simultaneously for 3D stereoscopic shooting. The PMW-F3 is equipped with a newly developed Exmor Super 35 CMOS image sensor which offers creative shallow depth of field, similar to that of a film camera. This sensor has an extremely high sensitivity of F11 (ISO800) with a very low noise level (an S/N ratio of 63 dB). The PMW-F3 employs a PL lens mount that is standard for film cameras, allowing use of a virtually unlimited number of prime and zoom lenses for 35-mm film cameras. The recording format and recording media are identical to the existing PMW-EX1R and PMW-EX3. 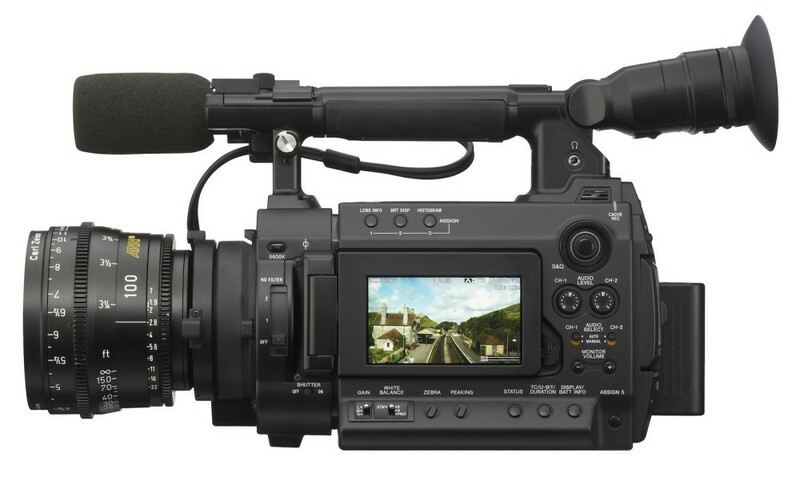 The PMW-F3 has an HD-SDI Dual-link output connector which offers up to 4:4:4, 1080 50/59.94p uncompressed signal output as standard. By using external recording devices, users can achieve x 2.5 natural slow-motion playback in 1080/24p mode. The PMW-F3 delivers a scalable external recording solution. When the RGB and S-LOG output option is added, RGB 4:4:4 baseband signal output is available for external recording devices such as HDCAM-SR recorders.